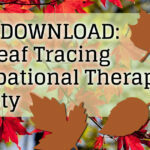 Happy National OT Month to all the Occupational Therapists out there. You’ve chosen a challenging career that requires meticulous attention to detail – as well as perseverance, patience and a cheerful, selfless attitude. In honor of your commitment, we’ve mined the world of inspiration and curated 20 quotes to encourage you in your work, and inspire you in your life. Thank you for all you do! Children receiving services might feel frustrated or exasperated at times…Occupational Therapists (OTs) might gently help them persevere in their therapeutic exercises and tasks. With occupational therapy services as a conduit, you are integral to helping children to develop a character attribute that will build their optimism and resilience throughout life. Hope does not disappoint. When you, as an OT, see the oft-hidden treasure of a child’s future ability, the journey through therapy is halfway complete. An optimistic spirit focused on accomplishing therapeutic goals is very detectable by the students you serve, and very important because you (yes, you!) are helping them develop confidence as they perform various tasks. And imagine – if you’re conducting online occupational therapy, you can even help build hope in a child hundreds or thousands of miles away! When positive change happens gradually, it sticks. Your example of patience with children needing therapy actually helps them be patient with themselves – fostering a sense of self-acceptance and the will to persevere through their occupational therapy (and life). As an OT, you spend so much time in service to others. Students reap the benefits of the therapy you provide, and you often give more than the required work – establishing trusted connections with people who need you to believe in them. Is there an inspiring quote that’s impacted YOUR life in your work as an OT? If so, both Therapy Source and your fellow school-based occupational therapists would love to read it, so please share below!